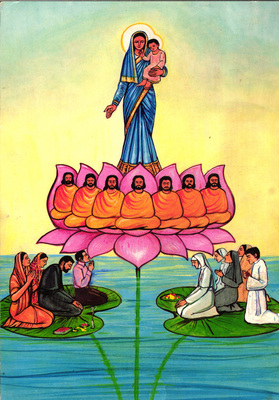 "Santa Maria dei Servi postcard"
Picture postcard of Indian origin depicting Madonna and Child in the center of a lotus flower. The image of Jesus is in petals of the flower. Holy persons and vowed religious are depicted kneeling around Madonna and Child.